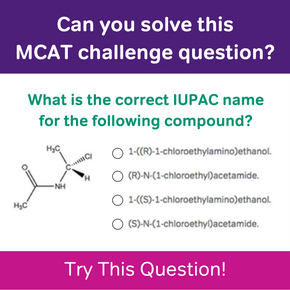 Ready to make the most of your MCAT study time? 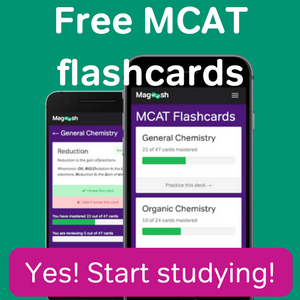 The MCAT Study Plans listed on this page will help you make the most of your Magoosh subscription. In each Study Plan, you’ll find: lesson recommendations, practice test links, and study tips to match your allotted study time. Shorter schedules are most likely going to demand more hours per day and more days per week. If your study schedule is longer, you’ll have more flexibility with the pace at which you want to study. That said, we try and make sure we give our students a variety of study plans so every student finds one that suits their availability! In this study schedule, you work 6 days a week, cycling through each major substantive area every 2-3 weeks. The schedule assumes you will be studying approximately 2-4 hours per day (or 12-24 hours per week). In addition to watching videos, reviewing flashcards, and answering practice questions, you will also practice your reading skills, answer sample CARS passages, and reflect on your productivity and study habits. This schedule helps organize your thoughts around how to study for the MCAT: the first part contains an “ease in” period at the beginning of your studies, and the last weeks are devoted to condensing notes, thus limiting your focus to those areas still in need of mastery. This is a great schedule for someone who is working part-time or going to school, and has several months until exam day. Although 6 months is an ideal timeframe to study for the MCAT, 3 months is more typical. In this study schedule, you will be studying 6 days a week for about 3-5 hours per day. The assumption here is that you want to have very thorough coverage of the material during your MCAT preparation, and can devote 30 hours per week to studying. You will visit most substantive areas weekly, which gives you consistent exposure to each scientific discipline and ensures that you don’t overstudy some areas while sacrificing others. There is time set aside to condense notes and evaluate study habits, but not as much time as allotted in the 6-month schedule. 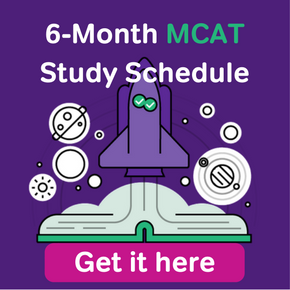 This MCAT study schedule is designed for students with a rapidly approaching exam date who can devote at least 25-30 hours per week towards watching lessons, reviewing content, answering practice questions, and honing CARS skills. You still encounter every topic on the MCAT, but you won’t have as much time to learn the nuances, condense your notes, or review your answers on practice exams. This schedule contains assignments 6 days per week, and each day is very dense. Therefore, you’ll see that the 6th day of the week is often set aside to catch up on any materials you missed during days 1-5. Despite the time crunch, you still get a rest day each week. One unique aspect of this schedule is that you will review flashcards nearly every day, which facilitates rapid memorization.